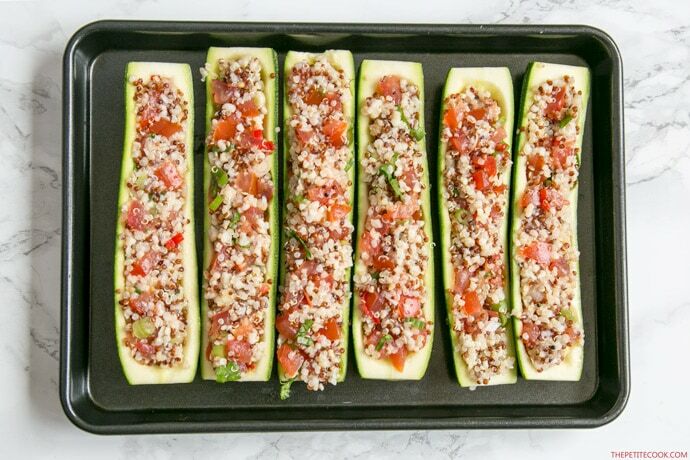 Super easy Zucchini Boats stuffed with quinoa and pico de gallo make a delicious, simple vegetarian and gluten-free meal to share in just 30 minutes! Spring is the perfect time to savor zucchini at their best. Raw or cooked, chopped in salads, spiralized in frittatas, or loaded with couscous, there are endless ways to enjoy this light and versatile veggie during the upcoming warmer months. 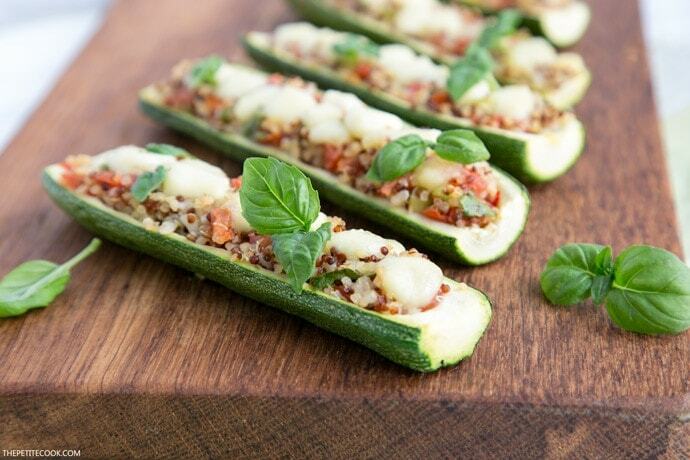 These rockin’ quinoa stuffed zucchini boats are both a feast for the eyes and the mouth! 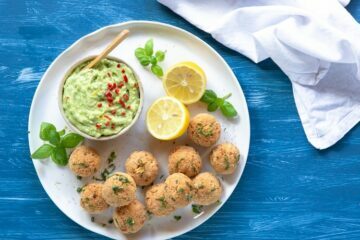 Naturally gluten-free, they can be easily made vegan by skipping out the mozzarella cheese, and served instead with extra salsa fresca ( aka pico de gallo) or your favorite toppings – guacamole is definitely one of my favorite options. 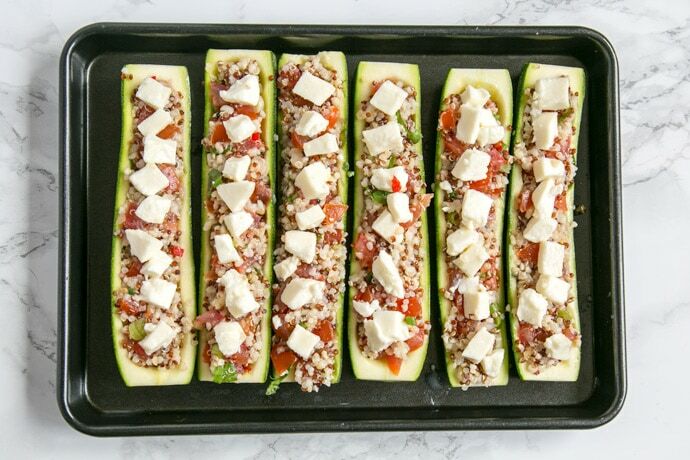 These super simple zucchini boats recipestarts with a simple, nutritious and flavoursome quinoa & pico de gallo filling. Made with cooked quinoa, tomatoes and red onion, fresh aromatic herbs, bright citrus flavors and a nice spicy kick from the jalapeño chile. This vibrant quinoa & pico de gallo filling is SO good, I’ve been enjoying in every possible way. 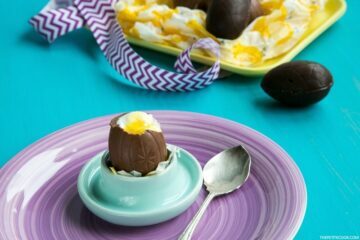 It’s delicious with grilled fish, poached eggs, chicken lemon skewers, and totally customizable with your favorite ingredients. 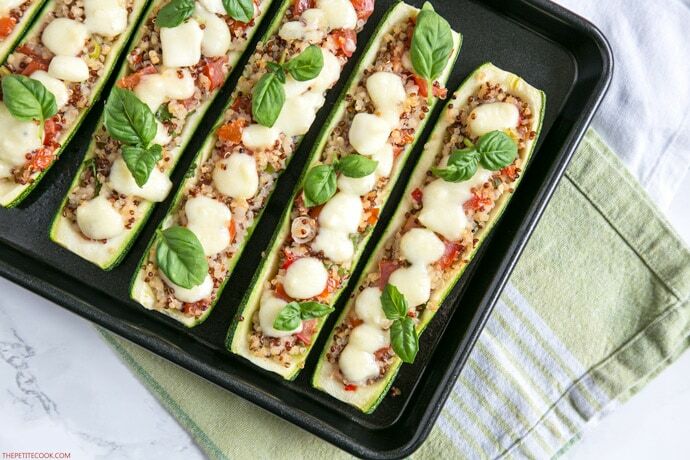 Once your quinoa filling is ready, it’s super easy to prep these awesome stuffed zucchini boats. Start by scooping out the zucchini flesh from the halved zucchini. Then fill the zucchini boats with the quinoa and pico de gallo filling. Sprinkle some mozzarella cubes on top. Bake the zucchini boats for 10-15 minutes, then top them off with basil leaves and serve them. The trick to totally nail this recipe is to keep an eye on the zucchini while they bake. You want them slightly soft but not mushy. They can be easily done either in the oven or on the bbq, but make sure not to cook them longer than about 10-15 minutes – so that the zucchini still keep a nice little crunch. 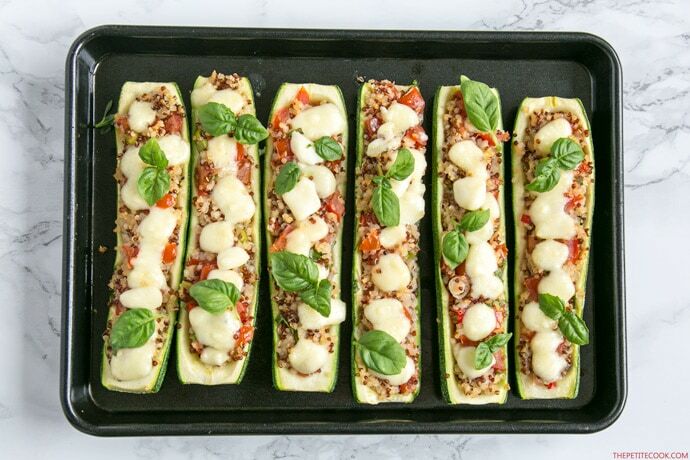 Ready in less than 30 min, these Stuffed Zucchini Boats make a super easy and quick weeknight / meatless monday option. 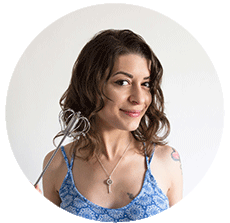 They can be adapted with what you have on hand, are packed with nutrients, and surprisingly filling too. 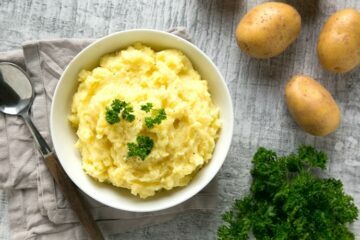 Light, flavorful and fun to make, these guys really have it all! 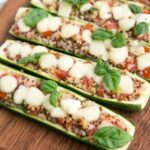 A simple filling of quinoa, pico de gallo and melted mozzarella cheese makes these quinoa stuffed zucchini boats a delicious, super easy vegetarian meal to share! Preheat the oven to 375°F /190°C. Lightly grease with oil a 13 x 9 baking tray and set aside. 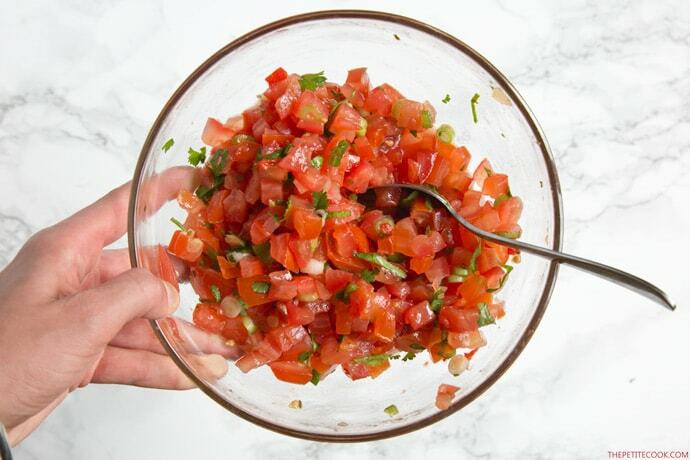 For the Pico de Gallo: In a bowl, combine diced tomato, red onion, chopped cilantro, zest of 1 lemon, zest of 1 lime, scallions and lime juice. Mix it up, season and set it aside. In a large bowl mix cooked quinoa and pico de gallo. Add a glug of olive oil and season to taste. Trim the zucchini ends and cut them in half lengthwise. 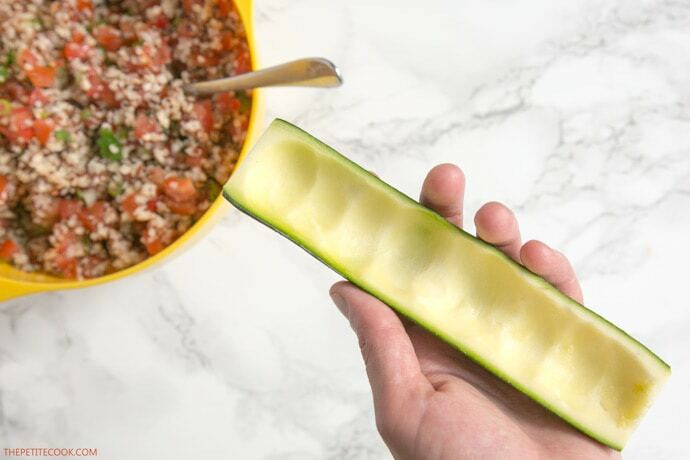 With the help of a melon scoop, scoop the flesh out of the zucchini (you can add it to the quinoa filling or in salads). 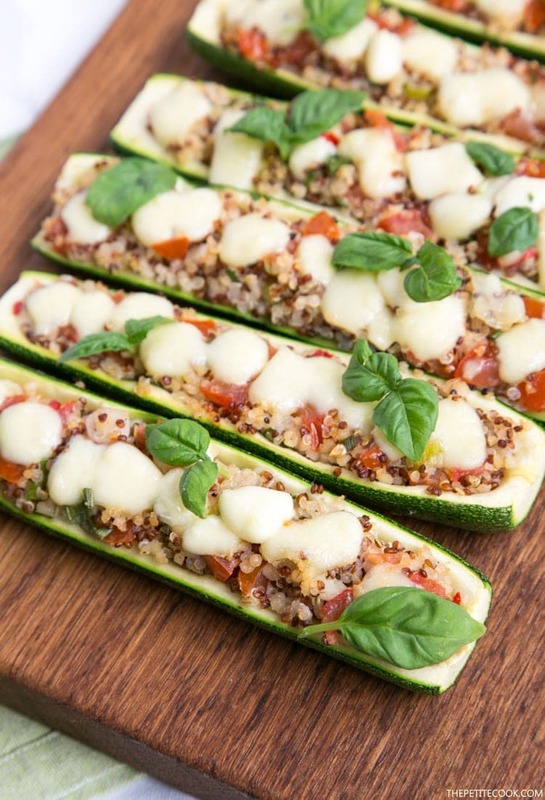 Fill the zucchini boats with the quinoa mix, and arrange them on the prepared baking tray. Sprinkle with mozzarella cubes on top and a drizzle with little extra-virgin olive oil. Bake in the oven for about 10 minutes, until the cheese is melted and the zucchini are slightly crispy. 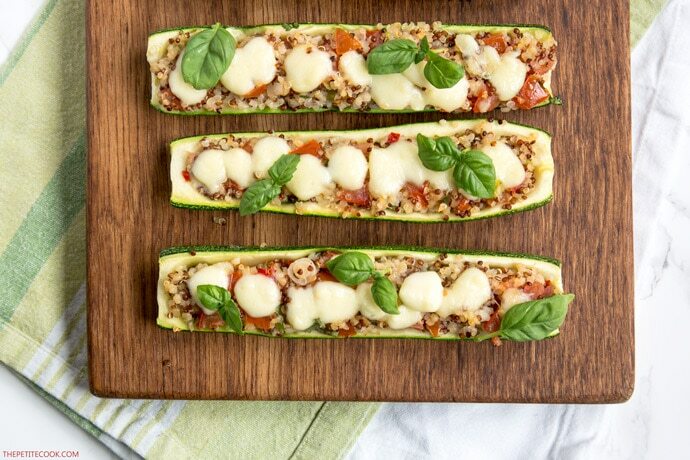 Allow the zucchini boats to cool for 5-10 minutes then top them with fresh basil and serve. Store leftovers in an airtight container for up to 2 days. Thank you! Hope you give these guys a try!